Learn how to measure a diamonds size and how size co-related to diamonds carat weight. A round diamond is a traditional stone that is cut into a circular shape with a faceted bottom to create dimension and life in the stone. Round Diamonds are faceted to give as much life to the stone as possible and this versatile shape works well in nearly all settings. The round diamond cut dates back to the beginning of gem cutting and is one of the oldest shapes that is still cut today. The larger the carat weight of the stone, the larger the flat table surface of the stone and the greater the potential for faceting. How to measure a round shape diamond? Round shape Diamonds are measured by the total girdle diameter. For those that are looking for an alternative to a typical round cut diamond, the princess cut offers a very modern look. The princess cut stone is square or rectangular and uses more of the rough cut stone than a round or brilliant cut might use. Princess cut stones are often used in more modern looking settings or for those buyers that are looking for something that is truly unique but that still shows off the center diamond. Since the princess cut diamond is more angular, it also often has more facets and allows the jeweler to create a truly stunning stone that will catch the light from every angle. The measurement of a princess cut diamond is dependent entirely on the length and the width of the stone as well as the depth of the stone. How to measure a princess shape diamond? Princess shape diamond is measured by its length. Cushion cuts are similar to a princess cut in that they are often square or rectangular but they are different in that the edges are rounded. It is a cross of sorts between the softer round diamond and the more angular princess cut. Cushion cut Diamonds offer a softer shape than a princess cut but they are still a more modern take on a center diamond. They are often understated and are fantastic for center stones. Cushion cuts are popular option for fancy colored Diamonds. Cushion cut stones have been updated from their predecessors and do offer a great deal of faceting and smaller cutlet that are barely visible. The cushion cut stone is measured similarly to a princess cut and a round cut but they are much harder to size based on measurement alone. How to measure a cushion shape diamond? Cushion cut is measured by the length, width, depth of the stone. Emerald cut stones are rectangular stones that are faceted to show off their rectangular shape. Since they are rectangular, the stone may appear larger than it actually is. These stones do not have the depth that a round stone has but they certainly do not lack when it comes to sparkle and shine. Emerald stones are often found in vintage settings like those from the art deco period but they are also stunning in newer settings when flanked by accent stones or as stand alone Diamonds. How to measure a Emerald shape diamond? Emerald shaped stones are measured using their length, width and depth. Oval cut stones are a stunning alternative for those that want a stone that is going to draw attention but that is not a typically mainstream choice. The oval cut stone offers an elongated shape that is lovely either running vertically or horizontally on its side. An oval stone is also going to look larger, even if the stones weight is not incredibly large. The oval cut stone has the potential to have the same brilliance and shine as a round cut stone if the jeweler facets it to achieve the most shine possible. An oval stone is a unique choice that is going to be beautiful and stand out among other engagement rings. How to measure a Oval shape diamond? Oval stones are measured by their length, width and depth. How to measure a Radiant shape diamond? Radiant cut stones are measured by their length, width and depth. The asscher cut refers to the faceting of a square stone. The asscher stone has large facets that are referred to as step facets that make the stone very pleasing and interesting to look at. Along with the step facets, these stones also have a remarkably high crown which gives them even more depth. The corners of an asscher cut stone are trimmed similar to an emerald cut stone. An asscher cut stone is a very unique stone that was often used in art deco style Jewelry during the twenties. This is a stunning stone that would make for a very unusual and beautiful engagement ring. How to measure a Asscher shape diamond? Asscher cut stones are measured by width x depth x length. Marquise Diamonds are also known as football Diamonds due to their football like shape. They are oval with an elliptical shape and pointed ends. This a very vintage cut that is not often seen in engagement rings making a very unique cut for those that want something that is not going to be typical. 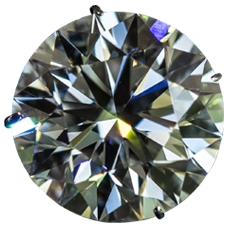 This cut generally features 58 facets and offers a shape that is unlike any other. Marquise rings are going to look larger than they are and offer a shape that is going to draw attention and start conversation no matter where you go. This stone is great for those that want a unique look. How to measure a Marquise shape diamond? For those that want something that is very visibly a declaration of love, a heart shaped diamond will surely do the trick. Heart shaped Diamonds are just that, Diamonds that have been fashioned to look like a heart. These stones are very modern and are often seen as a fun way to make an engagement ring less formal and more whimsical. A heart shaped stone is wonderful for those that want a less formal setting but that still want some carat weight to their stone. Heart shaped stones are gaining in popularity and are a fantastic way to make your ring truly different and unique. How to measure a Heart shape diamond? To measure a heart shaped diamond you need to measure length, which is from the bottom point to the highest rise of the heart. Pear shaped Diamonds are a vintage cut that is larger at the bottom and comes to a point at the top. These stones are stunning as stand alone pieces and have become more popular in engagement rings in years passed. The pear shaped diamond may also be referred to as the tear drop diamond for its drop shape. These Diamonds are more commonly used in other pieces of Jewelry but do make stunning engagement rings. These stones are known for their shape and their brilliance and present a unique opportunity to anyone that chooses to feature one in their engagement ring. How to measure a Pear shape diamond? To measure a pear stone, measure the width and length. *Estimated carat weight and millimeter size may vary depending on the depth measurement for diamond for all shapes and sizes.